Some interesting ELO and Jeff Lynne items are now listed on eBay which will be of great interest to fans and collectors of Birmingham's finest in aid of much needed funding for the Justice 4 The 21 campaign, courtesy of my good friend Luis Miguel Alcalá Ortiz. 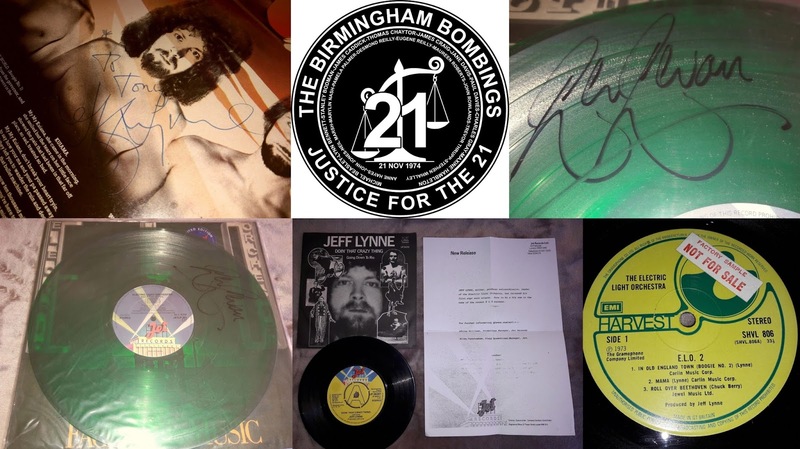 Yours Truly KJS and elobeatlesforever (elobf) continue to endorse the Justice 4 The 21 campaign. Please visit the J4T21 official web site for further information.